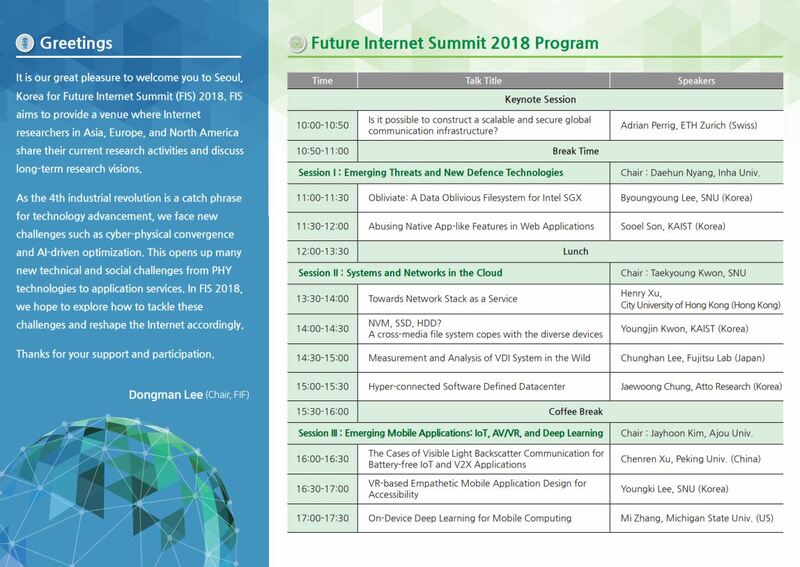 It is our great pleasure to welcome you to Seoul, Korea for Future Internet Summit (FIS) 2018. 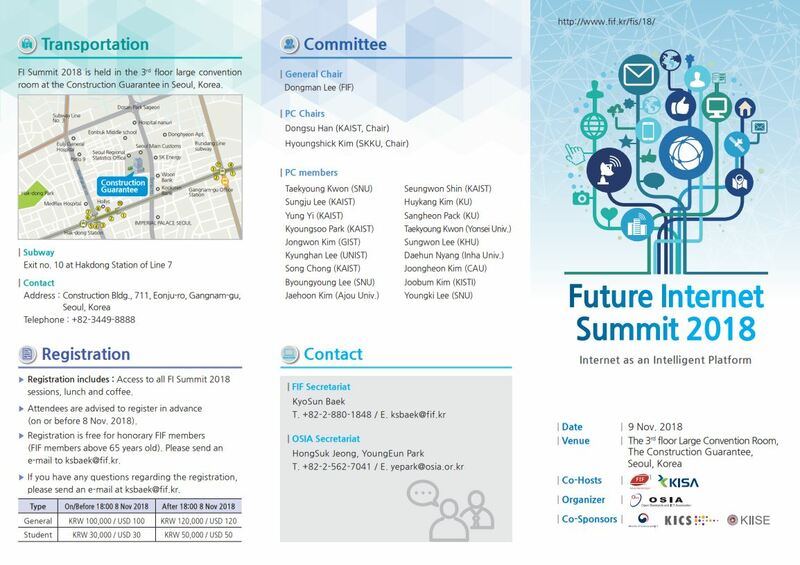 FIS aims to provide a venue where Internet researchers in Asia, Europe, and North America share their current research activities and discuss long-term research visions. As many of us already are witnessing everyday, we live in the hyperconnected society. This opens up many new technical and social challenges from PHY technologies to application services. In FIS 2018, we hope to explore how we tackle those challenges and reshape the Internet accordingly. Thanks for your support and participation. 10:00 - 10:50 Is it possible to construct a scalable and secure global communication infrastructure?